A 46-year-old Beloit woman is dead after a late night ATV crash. 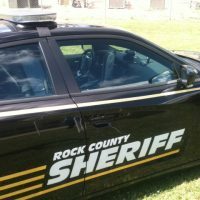 The Rock County Sheriff’s Office responded about 11:30 p.m. Thursday to South Butterfly Road near East County Highway S in the Town of Turtle. Investigators believe Stacey V. Duke was traveling south on the grassy shoulder and hit a utility power pole. Deputies say Duke was not wearing a helmet, and died shortly after arriving at the hospital. The medical examiner’s office, and DNR conservation warden are helping with the investigation.